Team India, on Monday, became the third team after New Zealand and Australia to announce their 15-man World Cup squad. The young wicketkeeper-batsman, who is being groomed as MS Dhoni’s replacement, could not make it to the squad along with Ambati Rayudu. Ingram was picked by the Delhi-based franchise during the IPL 2019 auction for INR 6.40 crores, which marked his return to the IPL folds after many years. In 31 ODI matches for South Africa, Ingram scored 843 runs with 3 centuries and 3 half-centuries and scored 210 runs in 9 T20I matches. They registered the worst 8-wicket collapse in the IPL history and were bundled out for just 116. The opening batsman David Warner tried to stay there in the middle till the end given the recent struggles of the SRH middle-order. Prior to the squad announcement, the discussions on who should be India’s fast bowlers for the tournament did the rounds. Unfortunately, the youngster didn’t get much of a chance thereafter and got opportunities in only a couple of encounters against Australia and New Zealand. Their opening match is against South Africa on Sunday, June 2 at the Kennington Oval in London and the Tigers are currently busy giving final touches to their preparations. The Tigers’ preparatory camp begins on April 22 and the cricket board wants the Jessore-board to come back before that. 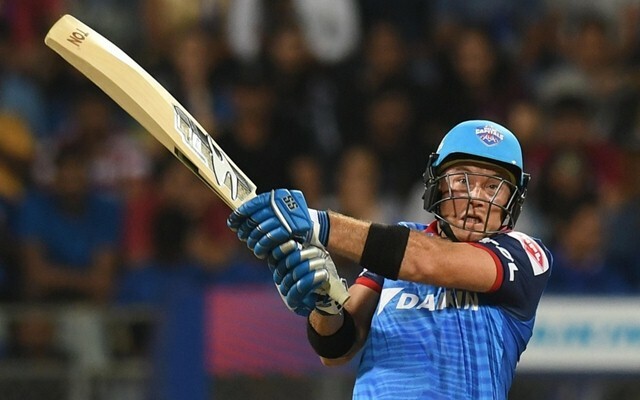 The 25th match of the Indian Premier League (IPL) 2019 saw one of the biggest controversies happening in the ongoing T20 tournament. On the fourth ball of the over, Ben Stokes bowled a high full toss to Mitchell Santner and the umpire at the bowling end called it a no-ball for height. The season of elections has also arrived as the Indian Premier League (IPL) 2019 is in full swing. On the other hand, Indian all-rounder Ravindra Jadeja’s family is making headlines as his house is potentially a minefield. The BCCI announced the Indian squad for the upcoming ICC World Cup 2019 which will be played in England and Wales from May 30. The BCCI chief of selectors MSK Prasad was asked the question about not picking Ambati Rayudu for the no.4 spot in the World Cup.